Samsung has just published information on the latest Samsung Internet beta that was released a week ago. It’s a substantial update that adds new features and improves existing ones with new functionality. 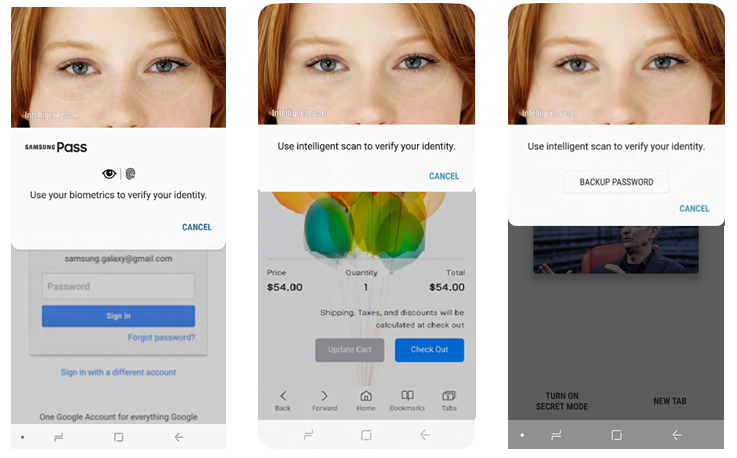 A major highlight here is aimed at Galaxy S9 and Galaxy S9+ owners: You can now authenticate and login on websites in Samsung Internet using Intelligent Scan, which scans both your irises and face for added security. Samsung has also added the ability to change the background color, font, and font size when Reader Mode is enabled. The update – version 7.4 – brings improvements to downloads as well, adding the option to delete downloaded files from both the download history and from the device, sorting files by type, and sharing them with others. The latest beta also brings a few country-specific features, which will be expanded to other regions in future updates once the company has been able to test it out with a limited number of users. For Indian users, the app will now show the time remaining for a download to finish inside the app and in the download notification in the notification shade. It will also allow users to change the download location for a file, which would be a boon for those with limited internal storage on their device. For those in the US, there’s a notification service for news. 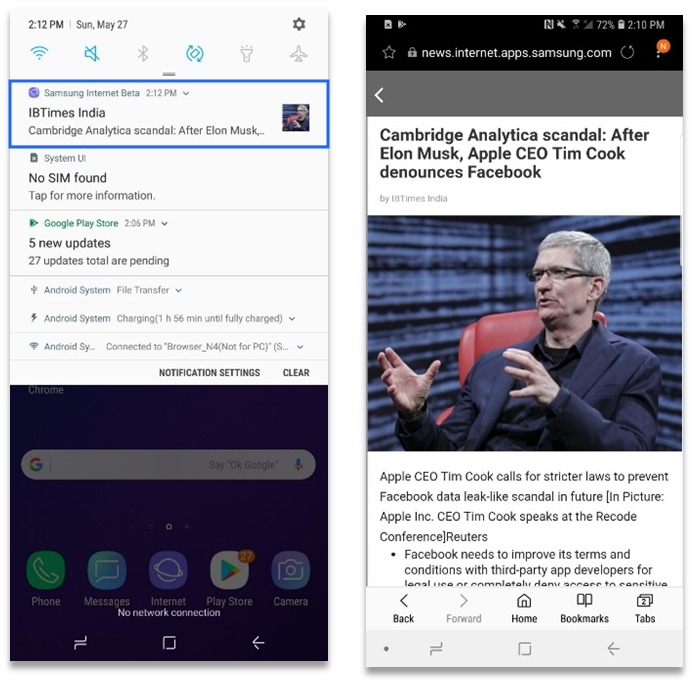 It’s an opt-in service so it won’t be enabled by default, but for those who enable it from the app’s settings (or during the app’s initial setup process for first-time Samsung Internet users), notifications will pop up on the device for breaking news topics. 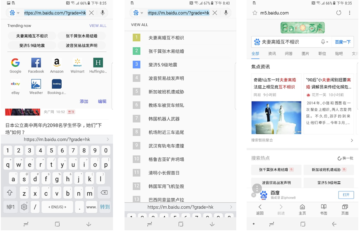 For folks in China, the app has a new section that will highlight trending keywords. 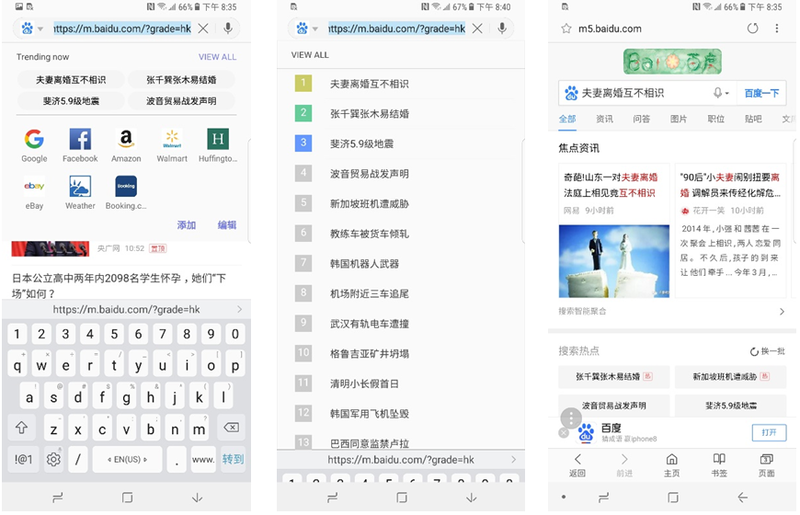 This section can be accessed under the address bar, and the content is provided by local service Baidu. 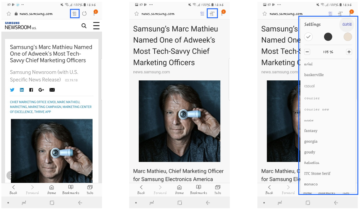 Samsung Internet continues to be a feature-dense browser for Android, and the latest beta should make it better for regular users of the app. Of course, if you’re not interested in testing beta software, you can wait for the new functionality and improvements to make their way to the stable version of Samsung Internet, though that can take months to happen. To download the latest Samsung Internet beta, head to the Play Store. You can also download the APK file from our database and sideload it manually.